Before opening the New York offshoot of their hit Boston tapas joint, Toro, co-chefs and empire builders Ken Oringer and Jamie Bissonnette embarked on a food-and-drink-filled research trip through Barcelona and San Sebastián. 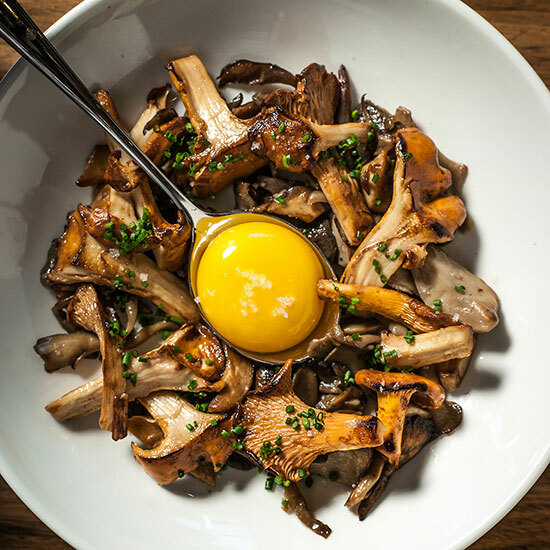 Their Spanish exploits influenced dishes now being served at the cavernous new Chelsea location, like setas (left): luscious plancha-cooked mushrooms with a farm egg yolk, olive oil and parsley. The prepartion is inspired by a simple plate of cèpes (porcini) at one of Oringer's favorite restaurants in San Sebastián. Here, the chefs reveal more exclusive highlights from their itinerary in Chef Dream Trips: Spain. Toro, 15th St. at Eleventh Ave., 212-691-2360; toro-nyc.com and @toronyc on Twitter.